SEIU Local 1, O’Hare Airport workers, Progressive Reform Caucus Chair Scott Waguespack (32), Chicago Black Caucus Chair Roderick T. Sawyer (6), Alderman Sue Sadlowski Garza (10), Alderman Leslie Hairston (5), Alderman Toni Foulkes (16), and Citizen Action Illinois today unveiled a bipartisan resolution to put the issue of an elected Independent Airport Authority on the November 8th ballot. With recent labor unrest at O’Hare Airport and other questionable contracting decisions, the Independent Airport Authority is needed to increase oversight of the Chicago Department of Aviation. 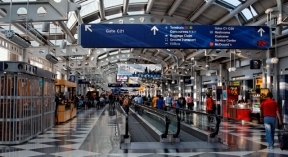 It would also bring Chicago in line with national standards for effective and transparent airport administration. 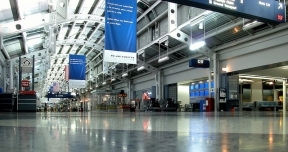 The announcement comes on the heels of the strike on March 31st that highlighted astronomical turnover and low standards at O’Hare Airport. Following the strike, two security officers were unjustly fired for speaking to the media about their concerns. By increasing transparency, the Independent Airport Authority will improve conditions for passengers and airport workers alike.